I’m a little obsessed with capes and drapes right now. Yes, I now that capes were so last year, but these interpretations into South Asian styling, married with beautifully draped, floaty fabrics really are different to the standard cape jackets we’ve seen in Western clothing stores. I don’t have any weddings or big parties coming up, but I am tempted to snap these up anyway, as you can’t guarantee that such beautiful fusion outfits will be available for long. Some of these capes & drapes may need a few tailoring additions or nip/ tucks to suit my preferred level of coverage but it is so refreshing to see an Indo-Western line with a modest twist. Let’s hear from my Asian ladies! Would you try a caped style or is it a little too superhero? Hit me up on the socials! 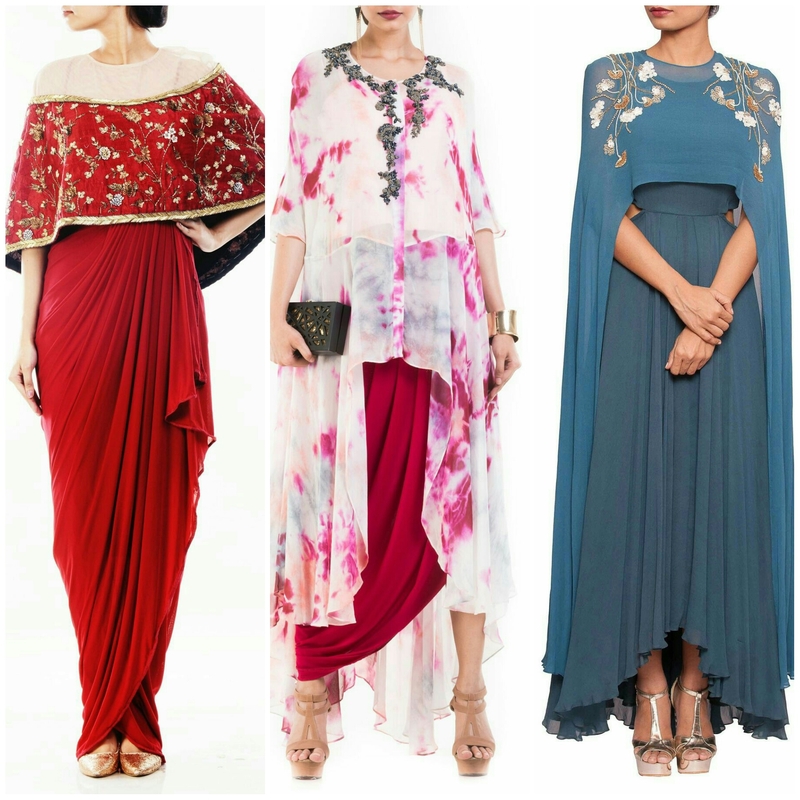 Leave a reply on "Modest fashion: Capes & Drapes "